We showed you how to get Windows and OS X to work together, but now it’s time to turn our attention specifically toward file sharing. Today we will show you exactly how to share files from one system to the other. I’m going to assume you’re running the latest version of both Windows and OS X: 8.1 and Yosemite, respectively. These instructions should generally work for earlier versions of both operating systems, and likely even for future versions, but some things might look different than what you see here. With that warning out of the way, let’s get started! Instructing your Windows computer to share files is relatively straight-forward, but first you have to make sure you’ve enabled file sharing. Head to the Control Panel, then to Network and Internet, then HomeGroup and sharing options, then Advanced sharing settings. Ensure that file and printer sharing is turned on for your current network. The hard part is done, let’s get to the actual sharing! 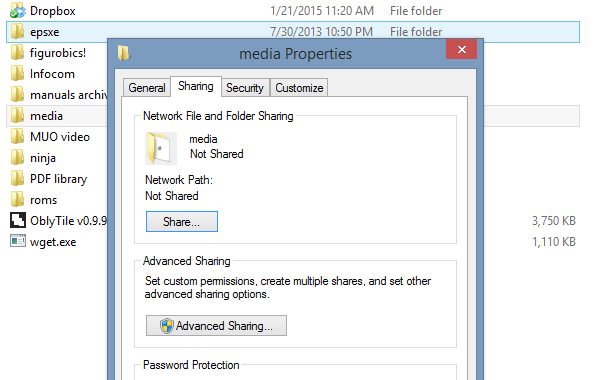 On your Windows computer, right-click the folder you’d like to share to the network, then click Properties and open the Sharing tab. You should see a Share… button. Click it. Specify which users you would like to see and modify the folder in question. On a home network allowing everyone to see, and specific users to edit, is often the best policy – use your discretion. 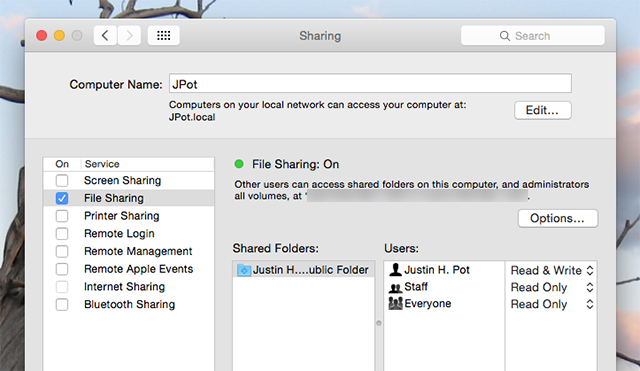 File sharing is now set up, so let’s head over to your Mac. Open the Finder and you should see the Windows computer in the sidebar under Shared. Click it, and you’ll be asked whether you want to log in. If you don’t need write access, “Guest” should work. 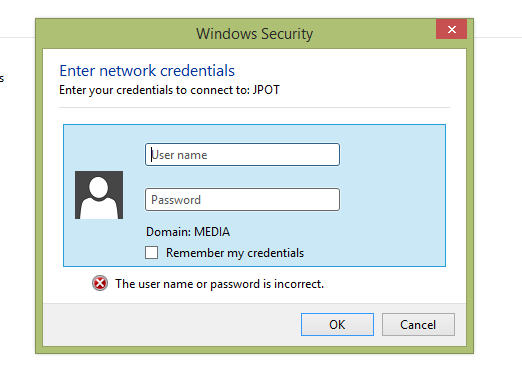 Otherwise, log in with the username and password from your Windows machine. Once you log in, you can start browsing files. It works pretty much like you’d expect. Congratulations: you’ve set up your Windows computer to share files, and opened them on your Mac. Now let’s try it the other way around. 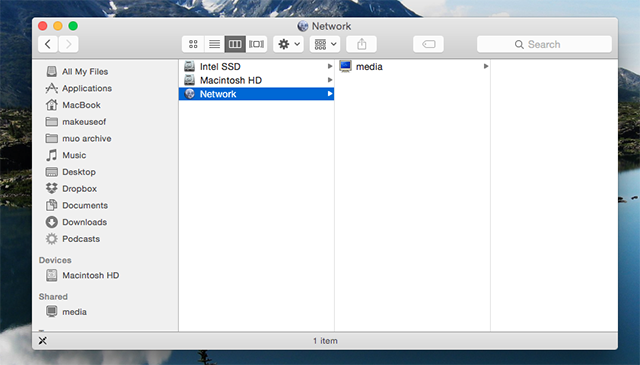 On your Mac, open up System Preferences, then click Sharing. Take note of the Computer Name field at the top of the window – you’ll need it later. Click the checkbox beside “File Sharing” and file sharing is turned on. Now click the Options button. Ensure that SMB is enabled – this is the kind of file sharing used by Windows computers. 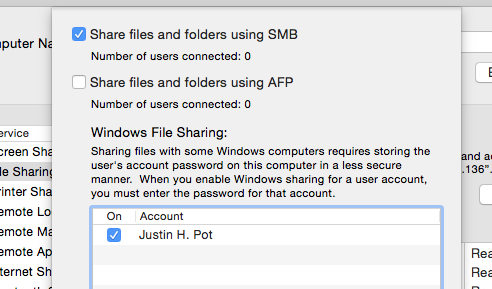 You should also enable Windows File Sharing for your account (by checking the box in the field below), if you’d like full access to your Mac’s file system from Windows computers on your network. Now head to your Windows computer and open Windows Explorer. With any luck, you should see your Mac from here. If your Mac doesn’t show up, don’t panic: just type “\\” followed by your Mac’s name (as seen earlier) into Explorer’s address bar. In my case, this would be “\\JPot”. If this doesn’t work, you can also type “\\” followed by your Mac’s IP (which you can find, on your Mac, in the File Sharing pane in System Preferences). 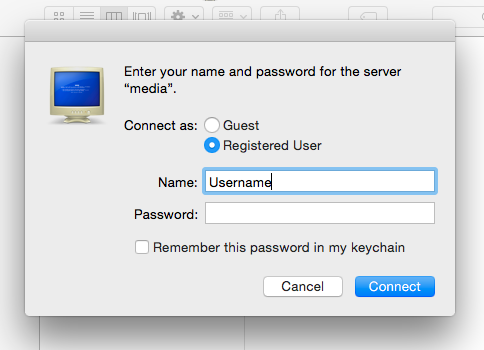 Type the username and password you use to log in to your Mac, and you’ll have access to all folders. You’re in! If you’d rather not share your entire filesystem, or wish Windows users didn’t need to remember a password, you’ll need to create a sharing account. Head to the Users & Groups section of System Preferences, then create a new account. Make sure the account is marked as “Sharing Only”, as seen above, and give it an easy-to-remember name. Head back to the Sharing section, and give this account access to the folders you’d like to share – you can make that access Read Only, if you’d rather people not mess with your files. If you’d rather not set up network-wide file sharing, there are other options. For example, a program called Dukto lets you share local files and text snippets between any two computers. Install this program on your Mac and your Windows computer and you can quickly send files from one computer to the other. 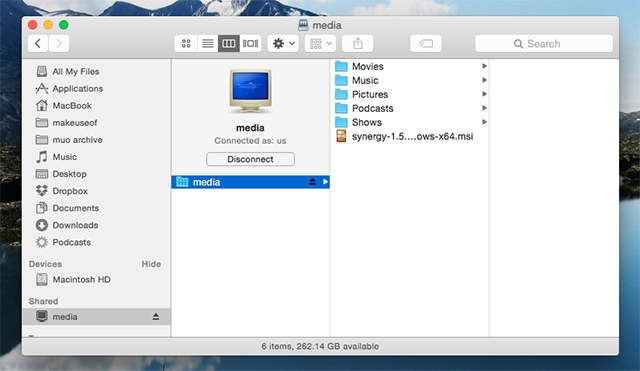 If even this seems too complicated, there are plenty of simple file sharing apps for Mac. For some users, syncing files with BitTorrent Sync might be superior to file sharing. The program lets you sync folders between Windows and Mac computers, meaning you’ll always have access to files on both machines regardless of whether you’re connected to the same network. With the above information you should have no problem sharing files from one kind of computer to another. Let me know how it goes in the comments below, along with any other cross-platform file sharing tips you might have. ← Can We Engineer The Planet To Fight Global Warming?